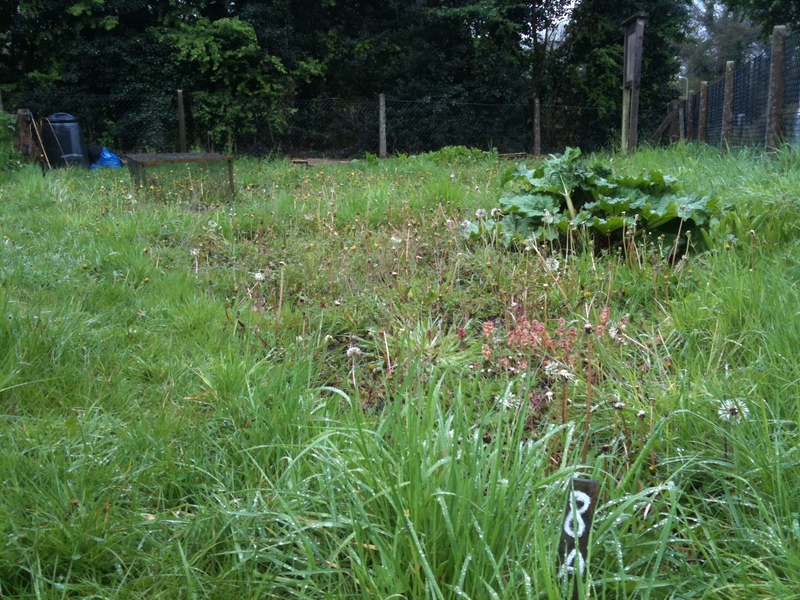 I’ve arrived at the top of the waiting list for an allotment – and now have more space in which to garden! When I applied last year I was warned to expect a long wait, I was about no.24 on the list, so when the phone call came out of the blue on Thursday it was quite a shock. But having thought about it overnight I decided that if I didn’t take it I would come to regret the decision; I enjoy the community garden and goodness only knows how I will manage to spend time there, in my own garden and on the allotment, but I’m sure I can work out a balance. Of course the other attraction was that I would have something else to write about here – so welcome to my allotment – this photo shows it in all its glory; I have my work cut out. I’ve ‘inherited’ some rhubarb, but that’s about it – apart from the dandelions of course. Funnily enough I’ve been looking at these very dandelions (I walk through the allotments twice a day, to and from the station) and thinking that I’d like to get some photos of them once they have gone to seed – now I have the right to roam over this patch, and as the new ‘owner’ am thinking I will need to dig them out before they go to seed. Such are the conflicting demands of a gardener/photographer! This entry was posted in Adventures in my allotment, Out of my garden and tagged allotment, allotments, community garden, dandelions, gardening, new challenge. Bookmark the permalink. 2 Responses to Exciting news! Lucky you, now all you need is plenty of good weather so that you can get busy digging, planting and sowing. I tend to let the dandelions on my allotment paths flower, and then go to seed before I get round to dead heading them. I’ve arrived here via UK Veg Gardeners where I’ve just approved you as a member! How lucky are you! How big is an allotment?